Label Tulip Blog: Label Tulip's members rock! 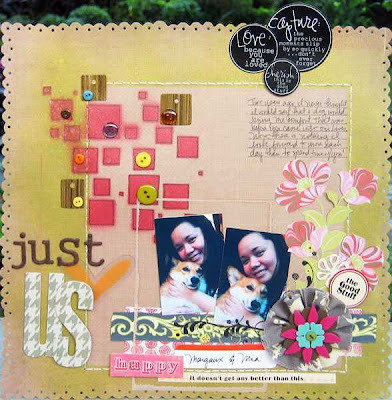 Alexis absolutely fell in love with this awesome layout from mollee! Alexis adored the woodgrain background and the way the page was divided up. The placement of the journaling with the sillouttes is perfection, as well! She also loves that mollee documented such a fun relationship between father and daughter! This page by mia92578 was one of Charity's favorites. She loved how Mia painted those cool squares, did the stitching and designed the cool handmade flower! AnnaMarie's page really caught Leslie's eye. Leslie loved the chipboard pieces from the kit were used and how the the paint framed the layout. 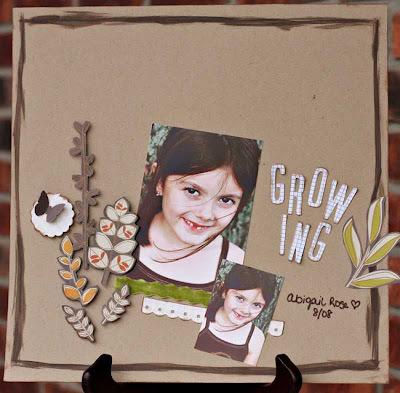 Amanda chose this page by sophiasoh. Amanda adored the torn paper strips, the yummy buttons, and the clever way sophiasoh did the title. So cute! My personal favorite was this page by Leah. The black and white with small touches of red and green... simple and so beautiful! I love the wings, lollipop flowers and black flowers running up the edge of the photo! Our members are so amazing! And, we just wanted to take some time out to show some them appreciation. Thank you all for sharing your fabulous pages and projects with us! Keep that eye candy coming! Gorgeous LO's for sure! TFS! Thanks Amanda and the Tulip Girls for choosing my work =) I'm deeply inspired by each one of you too!